It was a lovely early autumn day at arts-based preschool today. 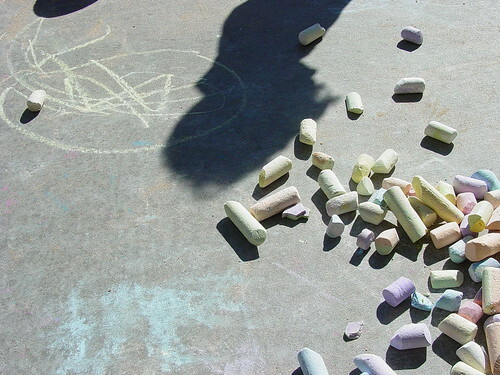 One of the children dumped out the bucket of chalks onto the ground. I guess that's the best way to find the piece you're looking for. I like the "sweet tart"-ness of these colors.